Llandudno Junction: Accommodation, Attractions, Activities, Going Out, Shopping, Things to Do, Places of Interest, Outdoors, Llanberis Holidays, Llanberis Area Location, North Wales. Llandudno Junction, once known as Tremarl, is a village in the county borough of Conwy. It is located south of Llandudno and is to the east of the walled town of Conwy. The town is situated around Llandudno Junction railway station, which is a junction between the Crewe-Holyhead line and the Llandudno-Blaenau Ffestiniog line. There are through trains from Manchester to Llandudno, but passengers travelling from London, Cardiff, or Holyhead to Llandudno usually have to change trains at Llandudno Junction. As well as its passenger interchange, Llandudno Junction had a major steam locomotive servicing depot and extensive goods facilities called 6G. The site of the depot and goods yard has been redeveloped and now accommodates a business park, fast food outlets (Mcdonalds, KFC and Pizza Hut), a leisure centre, a Cineworld multiplex cinema and Tesco Supermarket. Llandudno Junction has a good choice of shops and restaurants, with plenty of free parking. 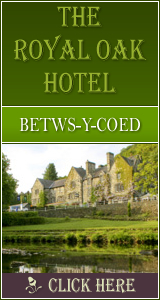 Llandudno and Conwy are close by so there�s lots to see.